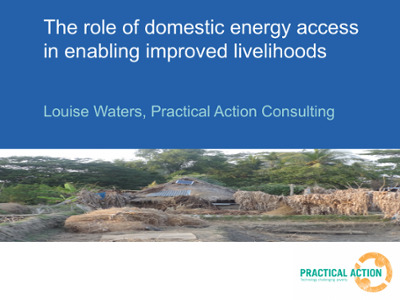 Achieving universal energy access by 2030 will require a change from ‘business as usual’ approaches in policies, financing, and implementation. 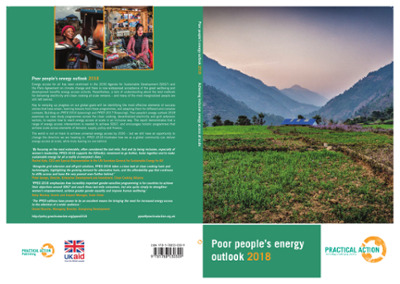 Practical Action’s Poor People’s Energy Outlook series has focused on what energy access means for the poor, and what will be needed to address it. 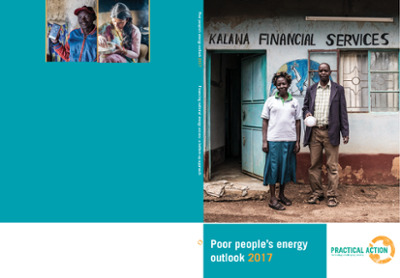 This briefing series builds on that work and aims to provide analysis and commentary on a wide range of energy debates from a poor person’s perspective. 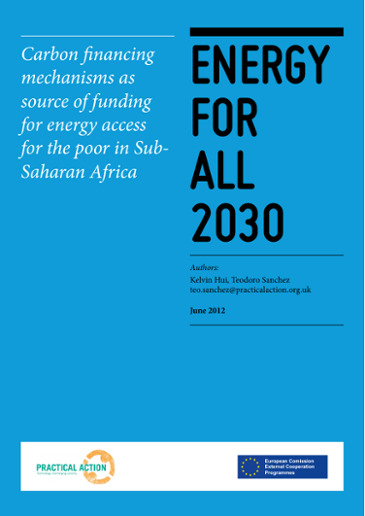 This first edition launches the series by looking at gaps in the evidence base on decentralized energy access through a consultation and literature review. 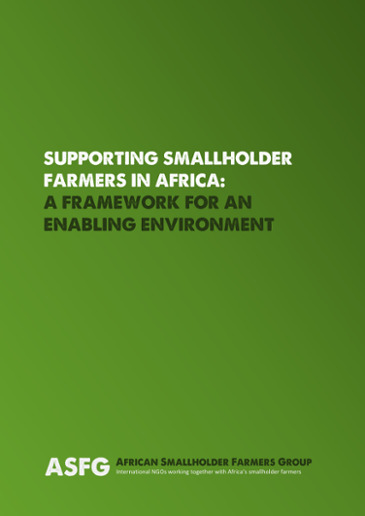 We discuss how this reflects the current shape of the sector as well as its implications for topics the series aims to cover. 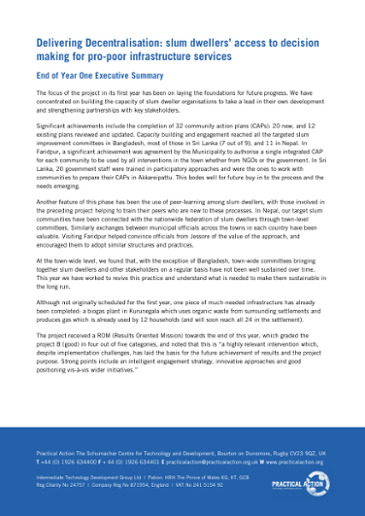 Delivering Decentralisation: slum dwellers’ access to decision making for pro-poor infrastructure services.